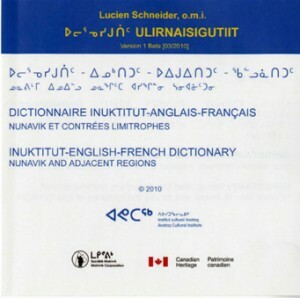 Schneider’s dictionary is the largest piece of published lexicological scholarship on any Canadian Inuktitut dialect. But even then, it cannot be considered as definitive. Father Lucien Schneider o.m.i., know to the Inuit as Ijautilialuk or Ataatatsiaq, was a Catholic priest, born in France, who came to the Canadian Arctic as a missionary, in the late thirties. 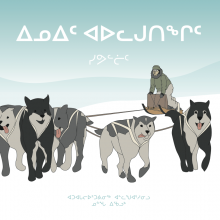 Afer a few years spent at Eskimo Point and Tavani (southern Keewatin), he moved to Kangiqsujuaq, Arctic Quebec, and later on, to Kuujjuaq. He retired to his home country in 1974 and died there in 1978.